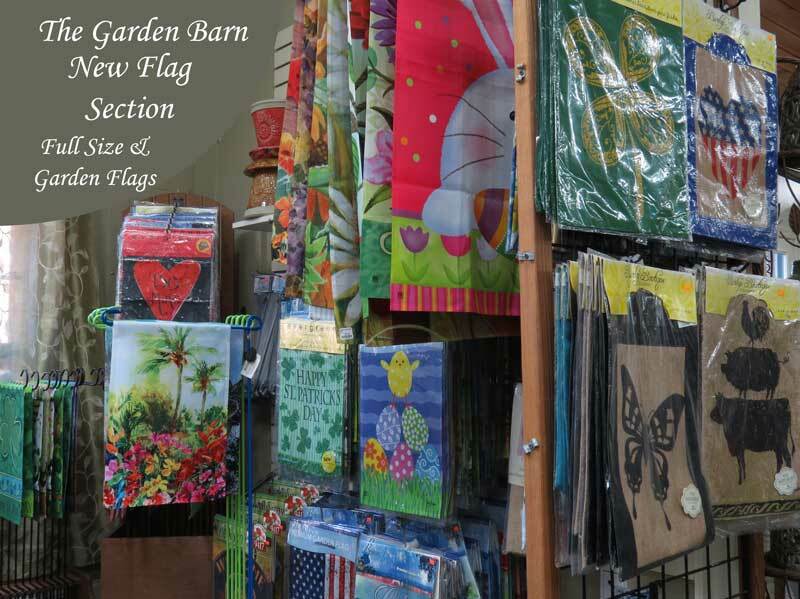 The Garden Barn gift shop has always been known for its unique décor and gifts. 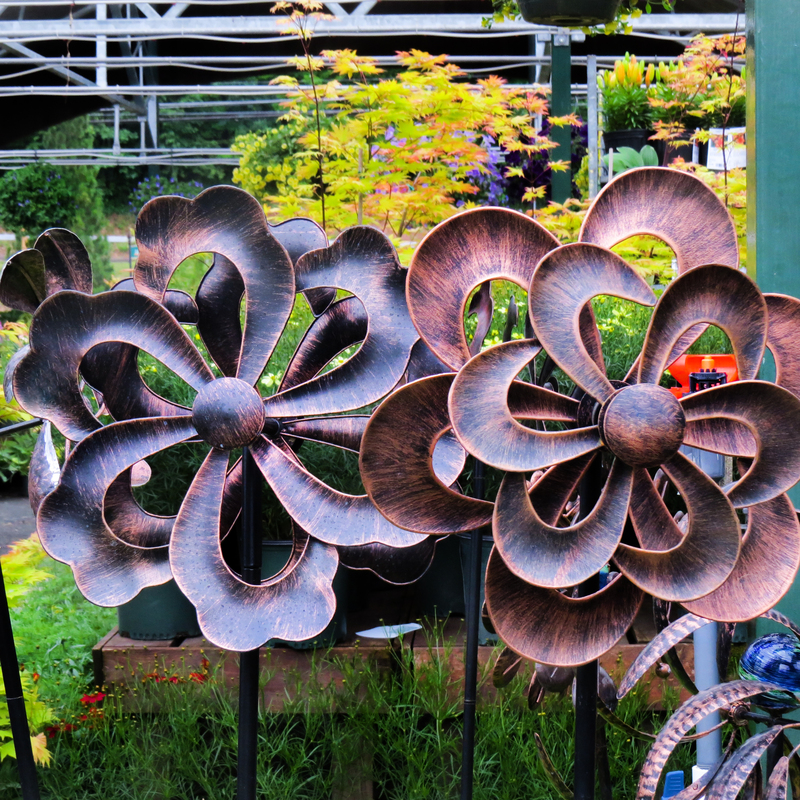 Renovations of the gift shop were completed in January 2016 and now the expanded gift shop contains even more great garden ornaments, home décor, and silk arrangements! Our merchandiser has a new approach with her displays, grouping items by color which makes it easier to find accents that complement each other. 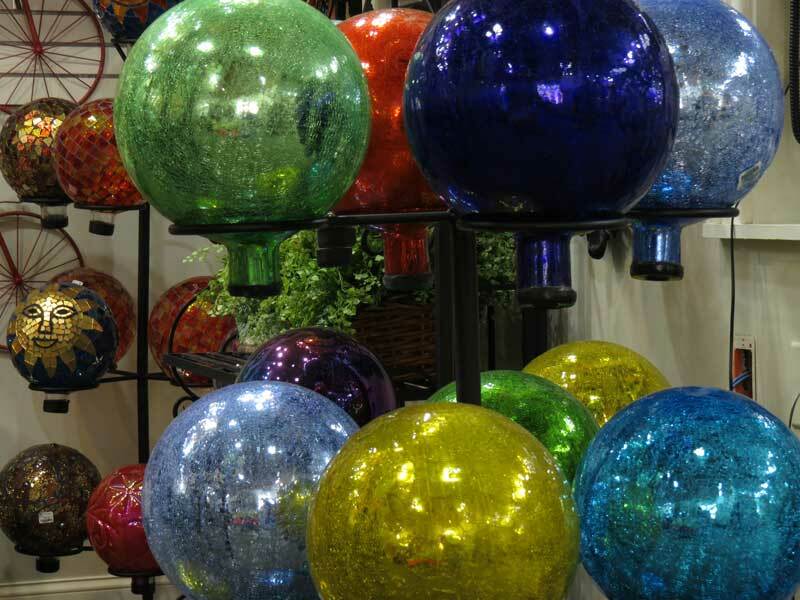 Whether you are in the market for a garden globe, or looking for a smaller gift, we are sure to have something to strike your fancy. Plants are still our main focus at The Garden Barn, but as with all good things in life we accessorize. Add a wind chime to your outdoor space for a soothing sound or browse our extensive selection of garden flags for some visual appeal. Enter our fairy world to find trinkets to add to your fairy garden. Birds are one of life’s great beauties and you will be sure to attract them to your yard with one of our birdfeeders or birdhouses. Whether you are looking to attract American Robins or Hummingbirds, we have you covered. Some variety can also be added to your landscape with charming bunny statues or whimsical garden gnomes. 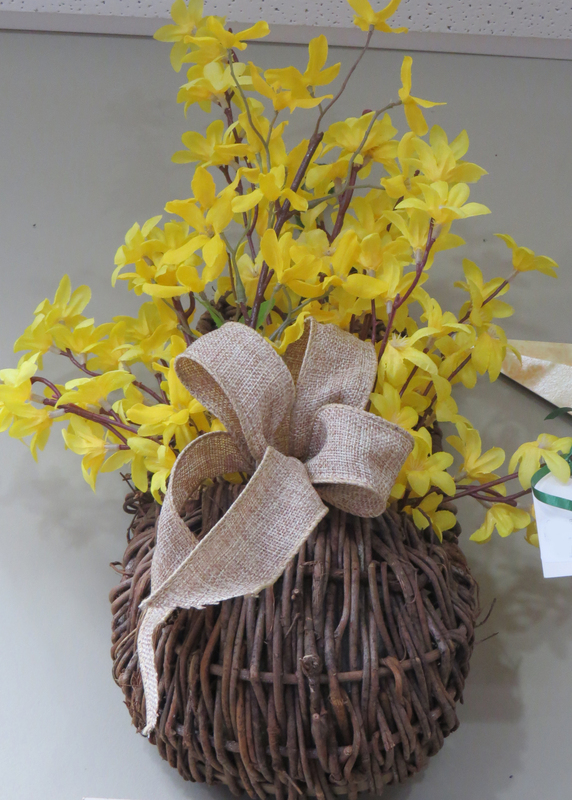 You will also find a large selection of silk flowers and arrangements in our gift shop. For more information about our silks, click here. Please note that any silk arrangement pictured may not be in stock; each item is individually hand-made and may be sold out. The gift shop changes with the seasons and we continually get in new products, so be sure to stop back often to see what is new. As many frequent Garden Barn shoppers will tell you, “You always find something new each time you enter the gift shop”.